Cereal isn't just for breakfast, but can be an easy and delicious ingredient in any number of fun recipes! From sweet to savory and morning to night, these recipes prove the versatility of all of your favorite cereals. These recipes are low hassle, low cost, and healthy alternatives to your kids' sugary favorites. 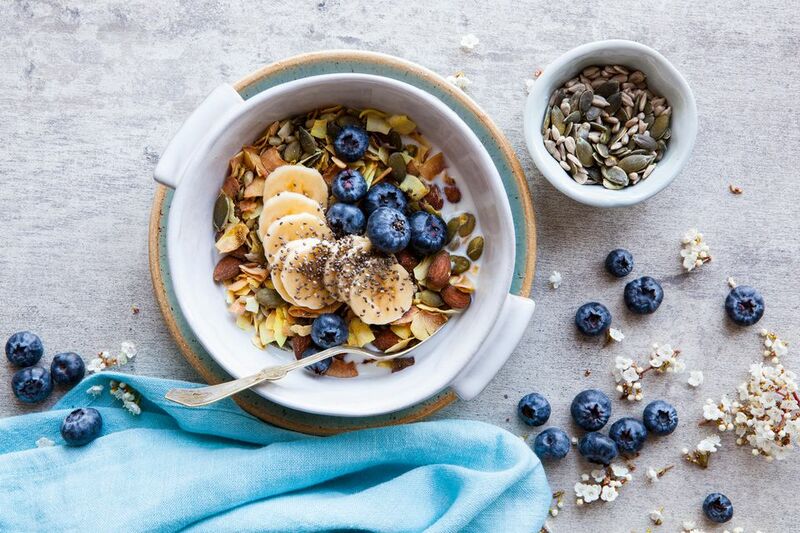 Think outside the cereal box and spruce up your snacking! How adorable are these breakfast sushi rolls? If breakfast is getting a little boring or you need help motivating your kids to get up for school, an exciting breakfast adventure is the perfect solution! 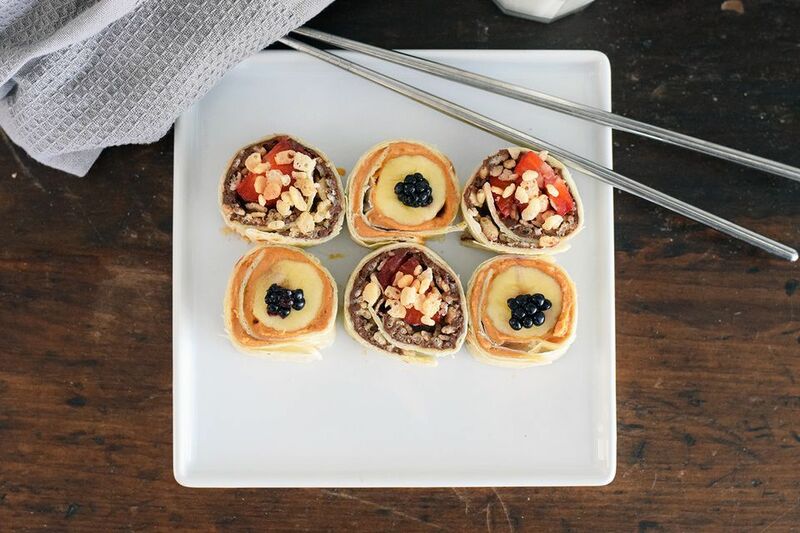 With nutella, peanut butter, and rice crispies, we love this sweet take on sushi! Ice cream sandwich recipes are all the rage right now and people are getting crazy creative everywhere you look. For a fun cereal twist, try this cereal "cookie" ice cream sandwich. Two cereal cookie patties plus a scoop of your favorite ice cream makes for a delicious after school snack or dessert. You can find popular brand milk and cereal bars in any grocery store, but how healthy are they really? If you're looking for an easy grab-and-go breakfast snack without the added sugar, homemade milk and cereal bars are a great alternative that your kids will be sure to love. Dates are a sneaky and underused way to get your kids eating healthy. Smooth, sweet, and delicious, the date skillet cookies with crispy rice and coconut are a great snack for the whole family as well as being rich in protein and vitamins! Make ahead over the weekend for easy snacking all week long. A cute and portable breakfast that's completely oven-free. For a delicious afternoon treat or maybe something to send to school in the lunchbox as a sweet surprise, these yogurt muffin tin bites with frozen fruit and cereal are sure to please. Get the amazing taste of s'mores without the mess or the prep! When you can't break out the bonfire, enjoy s'mores all year round with this easy cereal-based treat. Any graham cereal will do, but we suggest Golden Grahams for maximum flavor. We bet you knew that cereal was good for any meal, but not like this! Whip up a fancy and low calorie chicken cordon bleu with an easy and cheap crispy cornflake crust any night of the week. Pair with something like zuccini or summer squash and you've got yourself a fantastic and fancy meal. What's a ranger cookie? A hearty treat made with crispy cereal and oatmeal popularized in the early half of the 20th century. This recipe uses oats, coconut, and corn flakes for a flavorful cookie that's low on sugar and washes down with a glass of milk. This recipe is made up of only three ingredients, but we recommend combining three different types of chocolate for maximum taste. Peanuts, chocolate, and, most importantly, cheerios combine in a delicious cluster for an excellent afternoon snack. Not enough time in the mornings to whip up fresh French toast every day? We're right there with you. Which is why this freezer French toast with cornflake crumbs is such a perfect way to simplify the morning hustle while still having a delicious start to the day. Freeze on a Sunday night for yummy breakfast all week, with a delicious crunch thanks to cornflake crumbs.